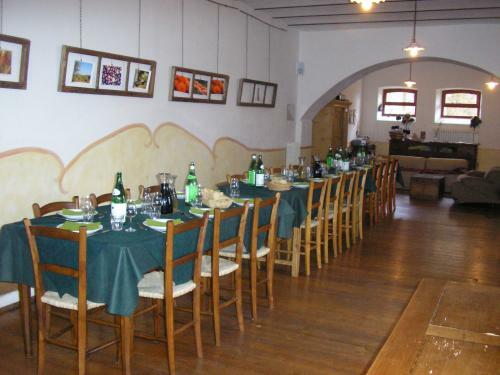 The “Agriturismo Il Sarale”, open from March to Jenuary with 40 seats, is the ideal place to enjoy the traditional rural dishes of the umbrian coking in a friendly atmosphere. During the winter, let us spoil you in the cosy dining room in our converted barn or on the summer terrace, overlooking the farm and wonderful sunsets during the warm summer months. 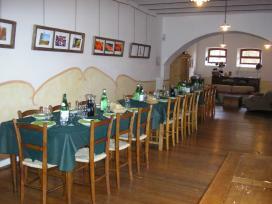 You can taste the meat of the small local farms, roasted with spices and herbs or braised in savoury sauces and gravies. 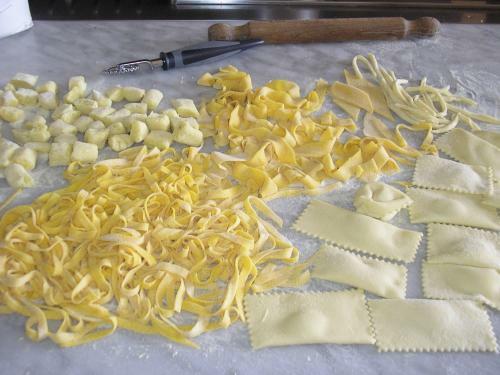 You can also enjoy the taste of homemade pasta as well as seasonal innovative and traditional dishes. 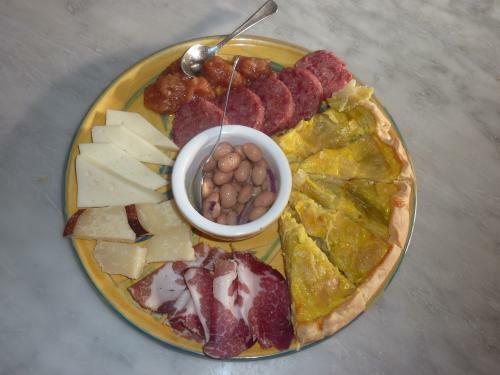 Come and appreciate our freshly picked vegetables, fresh local cheeses, homemade delicacies and regional wines! Our pies and tarts, chocolate cakes and cream puddings are always accompanied by the local vin santo or by homemade bitters and liqueurs. With us, you can discover natural and authentic tastes and flavours and enjoy a warm and personal welcome. The standard menu is always different everyday due to the seasonal products produced by our farm or from other locals. Upon request, we are happy to cook gluten free and vegetarian dishes.